Our very own Professor is now on display at the National Gallery. ​"Christopher B-Lynch has saved the lives of countless women worldwide, after developing and publishing (1997) a surgical technique, known as the B-Lynch Brace suture, which can halt postpartum haemorrhaging without the intervention of pelvic surgery, thus also potentially preserving fertility. 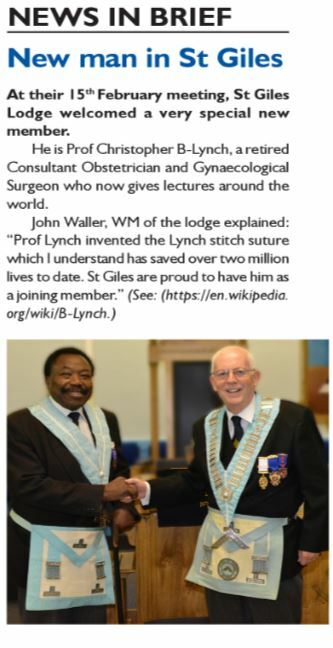 An obstetrician and gynaecological surgeon, B-Lynch was educated at Oxford and St Bartholomew’s Medical College, London, where he graduated in medicine in 1973. Following various appointments at Bart’s, Paris and Oxford, he became chief assistant to the Queen’s gynaecologist (1981-3). In 1984, he was appointed Consultant to the Oxford region, based at Milton Keynes University Hospital (NHS Trust), and set up the department of Obstetrics and Gynaecology there. 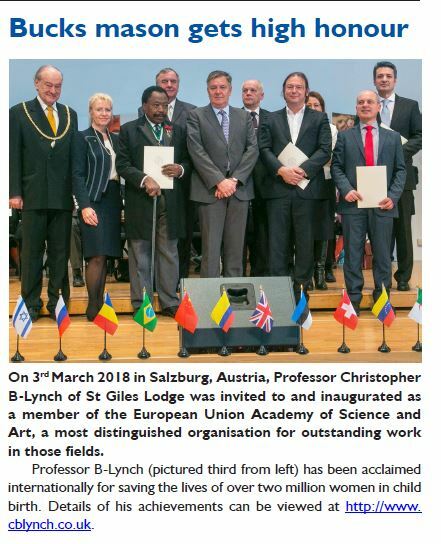 Lynch is also a Commissioner for the World Health Organisation for women’s health improvement in Africa, and after retiring from public medicine in 2010, he returned to his native Sierra Leone to teach medical students and doctors under the humanitarian organisation CapaCare. The President of Sierra Leone awarded him the GORSL (knighthood equivalent) for his work and charity internationally." ​Prof B-Lynch in Obstetrician and & Gynaecology at Milton Keynes General Hospital in 2009-2010. She is now working as Obstetrician and Gynaecologist in Milton Keynes University Hospital. Tahira is the wife of Bro Javaid Iqbal who is also a member of St Giles Lodge. Disclaimer: Links are owned by and are the responsibility of third parties. St Giles 8555 and its members cannot be held responsible for the suitability of external content. The inclusion of links on this website does not imply endorsement or otherwise. All images and logos are copyrighted to their respective owners.